Drivers can enjoy their Porsche’s racetrack-ready precision for years after it leaves the factory by scheduling regular maintenance and auto repair with Porsche Fremont’s service center! Attending to routine repairs before they become a problem isn’t just about avoiding disaster. Our certified Porsche technicians want you to be able to experience the best in luxury engineering day in and day out, without getting weighed down by the wear, tear, and gunk that threaten your engine’s lifespan. Here at Porsche Fremont, our mechanics are trained to care for every aspect of your vehicle’s performance. No option is more comprehensive than our Porsche Scheduled Maintenance Plan, which invites you to return to our shop for complete vehicle inspections at regular intervals. This prepaid option even includes necessary repairs and replacements that we identify during your checkups! Engine oils and tires are two of the most vulnerable components in your vehicle’s functioning, but rest assured, we have just what your vehicle needs to stay protected. Mobil 1 oil and N-rated tires have been specially designed to help Porsche’s vehicles work at maximum capacity, and we’re very well stocked on both. We offer a regular Air Conditioning Check as well as a Live Check, which tests your vehicle’s heaviest equipment and safety technology. Porsche’s vehicles should only be serviced by certified, specialized technicians. 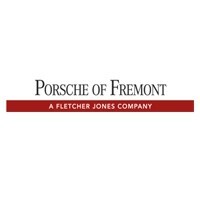 Here at Porsche Fremont, all of our technicians are equipped with the training and technology they’ll need to keep your luxury car performing at its best. A PCBB brake tester, a high voltage test adaptor, and a specialized computer diagnostics system give our technicians the ability to carry out every conceivable routine repair. What’s more, at our facilities, all repairs are carried out using Porsche Genuine Parts, guaranteed to keep your vehicle running with factory-grade precision and power. Thanks to our trained technicians and certified auto parts, drivers near Newark and the San Francisco Peninsula can make Porsche Fremont their one-stop-shop for all maintenance and routine repairs. Drive by and come see us today, or schedule your next vehicle checkup easily online!